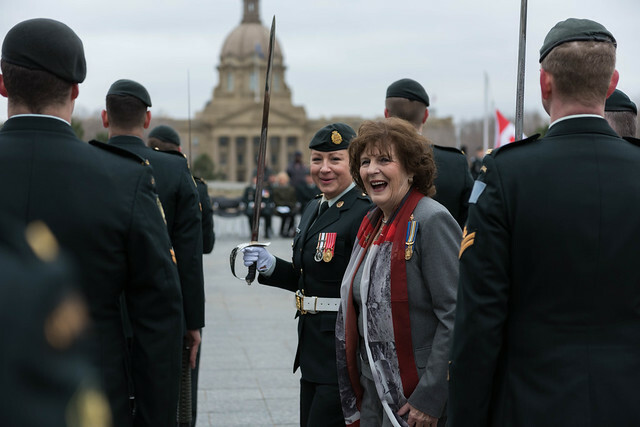 The Lieutenant Governor takes part in military ceremonies and is also frequently invited to preside over Awards ceremonies that recognize the bravery, achievement and outstanding public service of Albertans. and a range of community volunteer recognition events. When attending events and ceremonies, the Lieutenant Governor is always accompanied by an Aide-de-Camp and a security contingent.